Got my first blocks for my LQS's Saturday Sampler yesterday. 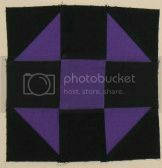 The pattern is Round Robin - three classic blocks each month. The original plan was Civil War fabrics, which I was happy with. 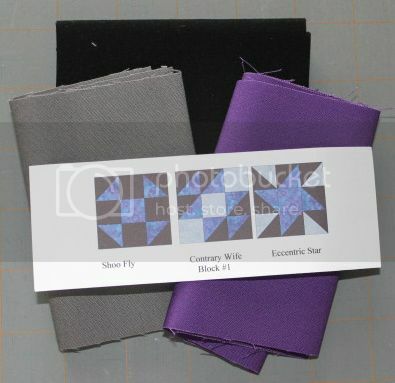 Then the store decided to offer the blocks in solids with a black background. I didn't even hesitate to change my mind! 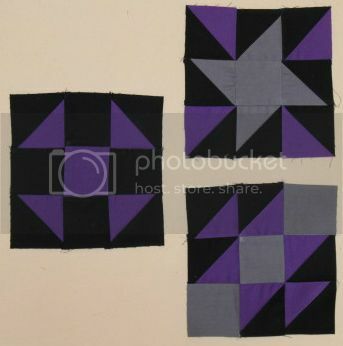 The funny thing - ask any of the modern quilters and they might call it a modern design. 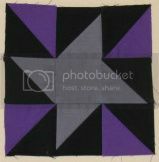 The store is advertising it as "Amish Style" because black with solids is the staple of very early Amish quilts, since they used their clothing scraps and that's what they wore. That's why I find it so hard to "define" a quilting style for myself - what's old is new. 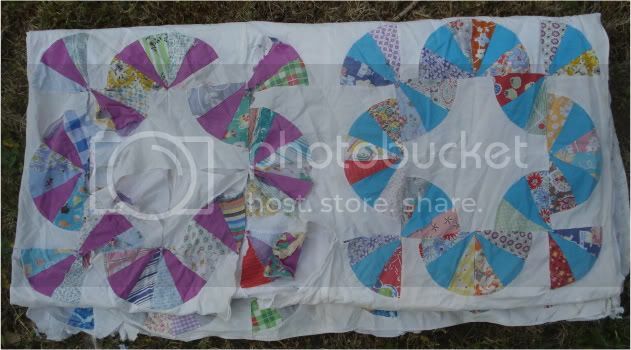 I've been hand-repairing my great-grandmother's quilt, full if bright solids and cheerful cottons. If you didn't know any better, you'd think this was made in the last year, not fifty years ago. Of course, my LQS owner says I can't define my style because I made a hexagon novelty quilt and a Tennessee Waltz in the same month. She might be right. Anyway, enough philosophy! I'm happy with the blocks, whether it's modern or Amish style. They're definitely MY style. 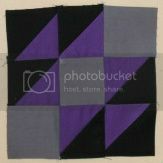 Check out how everyone else is doing on Patchwork Times and check out more BoMs at What a Hoot!